As Head of Talent, naturally I’m very proud of the extra perks we get for working at Octopus Group: Superstar awards, free brekkie, tonnes of socials, discounts on pretty much everything, early finish Fridays and wellness days, to name but a few. So it’s probably no surprise that the idea of a two-month paid sabbatical after five years always made me smile. Having watched so many colleagues go on well-deserved breaks after years of loyal service, when my own sabbatical came around I couldn’t keep quiet about it! I spent over a year planning it and six months counting down the days till the dream became my reality. The dream: a five-week break packed full of amazing experiences and absolute relaxation. Spa days, family time and long lunches, before heading off on what could only be described as a once-in-a-lifetime holiday. First up was two weeks in Bali. Traveling around Ubud, staying in the King of Ubud’s guesthouse (he doesn’t live there anymore), on the river with nothing but beauty as far as my eye could see. Savouring the rich culture and then off on the strangest boat experience ever to Gili T, also known as Bali’s party island. Hurling my suitcases across endless sand with nothing but horse carriages as transport. Then off to Nusa Dua, where peacefulness, luxury and privacy came together as one. Finally, heading to Hong Kong for a week of shopping, amazing nightlife and Disneyland. The Monkey Forest– I LOVE monkeys (they’re my favourite animal), so walking through a forest with free-roaming monkeys everywhere was just too much for me. Topped off with feeding a monkey as it jumped on me. An amazing experience. 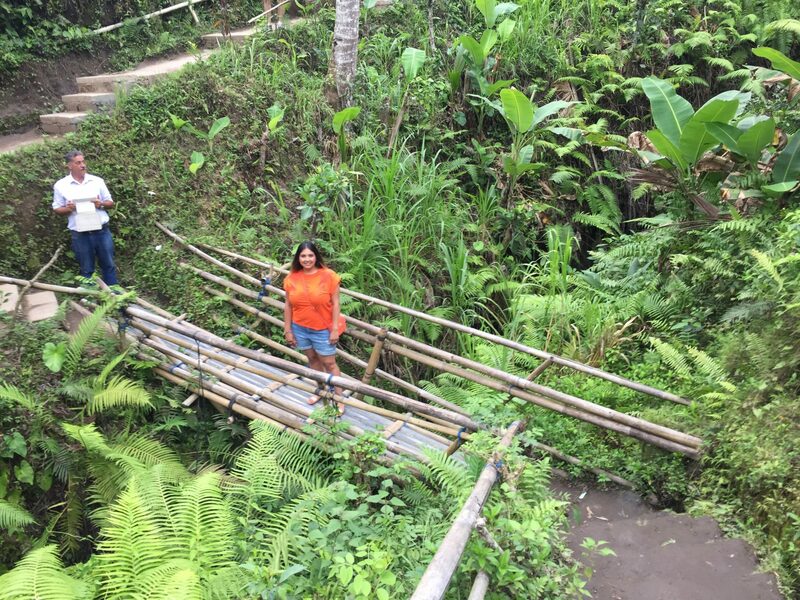 All the food – as a veggie, I often find myself with limited choice, but in Bali I had almost too much to choose from, including cultural dishes, local eating experiences and possibly the best pizza I have ever tasted. White water rafting – for those that don’t know me, I am quite a wimp. But after a terrifying scale down over a mile of unstructured steps to the largest river in Bali, I had an absolute blast careening through the rapids! Private pool villas on the beach – absolute luxury that I will never forget. So good I sent my parents a guided video tour of the place! But most importantly – the chance to take a complete time-out from reality, the opportunity to relax, rejuvenate and de-stress from day-to-day life.